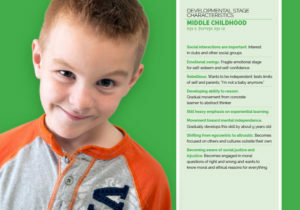 We believe that middle childhood development builds on a child’s early childhood experiences. Further, we believe that each child develops in their own way, and on a timetable that reflects their unique needs. Develop a strong interest in the world around them. Long for an array of experiences outside of their home. Thrive as they interact with positive adults other than parents, family and caregivers. 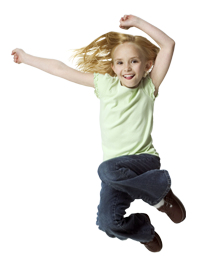 Are in a fragile emotional stage for self-esteem and self-confidence. Begin developing the ability to reason. Move from concrete to abstract thinking. Need a stimulating environment centered on their needs. In this area of focus we want to fund projects that result in opportunities for children ages six through twelve to develop socially, emotionally, physically, intellectually, and spiritually. Read how adults can help children thrive!